Known as the country’s “Greatest Springtime Celebration,” the National Cherry Blossom Festival in Washington, DC is a yearly event that’s a visual feast for the senses. Honoring the friendship gift of the cherry blossom trees from Japan to the US, travelers to the region enjoy numerous daily events that feature traditional and contemporary arts and culture, natural beauty, and foster community spirit. This year the festival runs from March 20th through April 15th. There are several Washington, DC bed & breakfast inns where guests can stay during the experience, and some of them also have insider secrets to share for making the most of it! 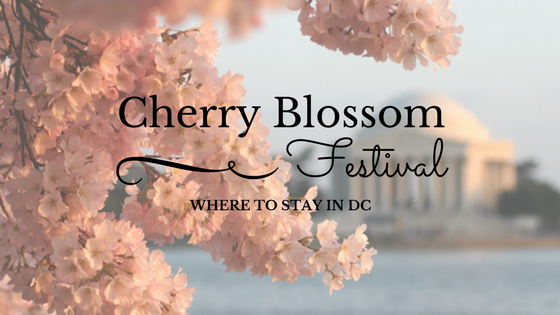 The National Park Service predicts that the peak bloom of the cherry trees will be March 17th – March 20th this year, so there’s no time like the present to head down to DC! This entry was posted in Cherry Blossom Festival and tagged Cherry Blossom Festival, cherry blossoms, March events, tidal basin, Washington DC by BnBFinder. Bookmark the permalink.